With more than 29 years of public accounting experience, John’s client base is made up exclusively of closely held entities, and he prides himself on providing excellent service, responsiveness, creativity, and practical and effective problem-solving business solutions. Prior to joining SFW Partners, John was the managing partner of his own CPA practice, Schnurbusch & Associates, which was founded in 1999. John graduated from the University of Missouri-Columbia in 1988 with a Bachelor of Science in Accountancy. 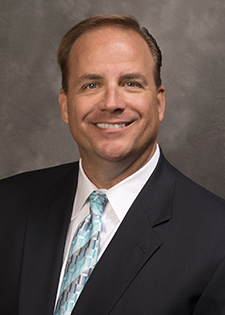 His professional and civic activities include memberships in the American Institute and Missouri Society of Certified Public Accountants, former advisory board member of the West County Branch of Eagle Bank & Trust (now Enterprise Bank & Trust), and serves as board member and treasurer for charitable and non-profit organizations in the St. Louis area. John’s emphasis is on providing clients with high-level tax and business management advice as well as estate planning. He has experience in a variety of industries including restaurant, manufacturing, law firms, construction, medical practices, non-profit organizations, service businesses, wholesale and retail distribution, financial institutions, real estate development, hospitality companies, and music entertainment. John has accepted numerous speaking engagements for local financial organizations and has appeared on the FOX 2 News Morning Show, The Big 550 KTRS giving tax planning advice, and KSDK Channel 5 on the Jeff Duncan Show, commenting on tax law changes. He was also featured on KMOV-TV 4, reviewing tax software and advocating the value of having your tax returns prepared by a CPA firm. When he’s not working, John enjoys spending time with family, playing baseball and golf, bicycling, and watching sporting events. His daughter and only child, Taylor, was born on April 15, the tax return due date.